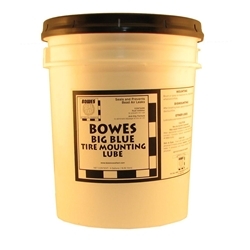 Tire Mounting Lube Premixed BOWES TC 77922N 5 Gal. Mounting Brush or Spray on bead and rim, Mount tire on wheel and inflate. Dismounting after breaking bead, apply to bead and rim and dismount tire, Other uses are to Lubricate and renew rubber and vinyl parts.